Duelz is different from other online casinos. It is really an experience in itself. And that’s nice! Duelz Casino is an online casino that invites you to make your own adventure. 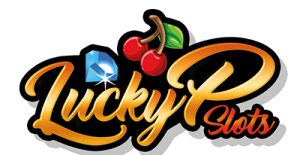 New customers can of course enjoy the normal games such as slot machines, table games, poker games and even live games. Members can play games from leading software vendors, including NetEnt, Microgaming and Play’n GO. The site is available in several languages ​​and can be reached directly via a web browser. Players can also use their mobile casino. Duelz Casino is licensed and regulated according to the laws of the Malta Gaming Authorities and the UK Gambling Commission. Players can enjoy lots of video slots at Duelz while being taken into the adventure of the casino. Each time you as a player play one of the available slots, you collect treasure on the way. The good news is that there are multiple providers of games here to add to the excitement that big names like Microgaming, NetEnt and Play’n GO. Titles include the Starburst Slot, Gonzo’s Quest Slot, Moon Princess Slot, Thunderstruck 2 Slot, Immortal Romance Slot and Twin Spin Slot. If you prefer to play table games, Duelz casino has a wide selection of blackjack and roulette games. These include American roulette and European roulette. Poker games are also available such as Caribbean Poker and Three Card Poker. Players looking for more excitement may want to go to the live casino games that are run 24 hours a day by live dealers, including Live Roulette. Players can use the search engine of the casinos to find the available live games. What does Duelz Casino look like? Duelz is known for her playful appearance. You have chosen a theme where you feel more like starting a Playstation or XBOX Adventure game than entering an online casino. Sometimes Duelz passes her goal somewhat by going very far in here. For example, the home page is full of pictures of treasure boxes. People seeking help can use the casino’s friendly customer service team. The fastest way to get help is to use the live chat facility of the casino, which is open 24 hours a day, 7 days a week. Players can also contact support via email for additional help. When it comes to security, the casino uses a high level of SSL encryption methods and firewall services. This is to ensure that players’ personal and financial data are always securely stored and encrypted before they are sent over the internet. The casino also uses a random number generator, so players are assured of a fair game. The results of the games will always be fair and random. Duelz Casino is a fantastic online casino if you love collecting points, treasures and levels. If you see your casino experience as a journey in which you develop, Duelz is your thing. Because in this case Duelz completely ignores what you are in the casino: simply gamble as quickly as possible!